Maryam Maquillage: My Favorite Person Ever! Who is your favorite person ever? Soo sweet. I hope you go to Russia!!! u look sweet and so much alike hun,great post! 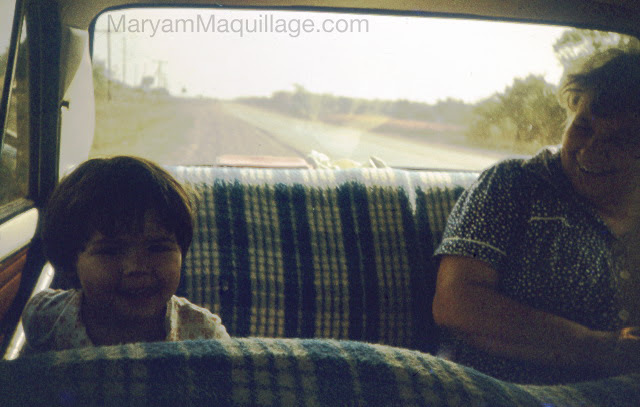 Hi Maryam, beautiful your grandma!!! nice post...as always! Thats very cute! Very nice post! this blog is amazing!! Please visit my blog!!! That is such an adorable picture! You reminded of my grandma. Maybe you take after her. Give my greetings to her. OMG that is soo sweet! beautiful! So cute post... You look so happy. 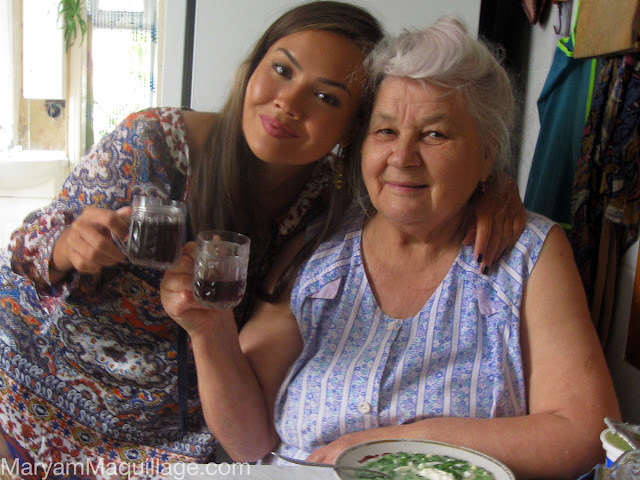 I love my grandmom too ;o)... Xoxo V.V. wow *__* you are so pretty. love your blog. This is adorable! I love the pics!! She looks like a such a sweet lady reminds me of my bf's mom which she's serbian. Girl you speak russian, i know my basics, it would help if you threw a lil russian here and there for me so i can remember it again. By the way, speaking of babushka, i call my brother (100% russian) kartoshka, or kukurus...still to this day. What a beautiful tribute to someone who is obviously a remarkable lady. I always say something helpful in achieving your goals is to share them so its great that you have :) My favourite person was also my Nanna (& Pop) but they sadly passed away within a year of each other last year. SO with that in mind try with all your might to go and see your Ba as its important to relish them while we have them. Nawwwww that's adorable! This made me teary... So sweet of you. I'm suprised you don't own Ruby Woo, i bet you have Russian Red though. lol but of course I have Russian Red haha I need to get my hands on Ruby Woo!! make sure to see your dear babushka this summer, she seems wonderful! and it's so funny to read that she's making you gain some when you see each other, because it seems like it's the grandparents role to do so haha. they always want you to eat more! Maryam you look so pure and beautiful! Anyone can see that beauty runs in the genes!! Hope you visit her soon~!!! I sometimes feel sad that I never got to meet any of my grandparents. You and your grandma must have a great relationship from what I can see from the pictures. By the way you look absolutely gorgeous. Aw this is adorable, it really sounds like you care for her. I hope you're able to visit her this summer! It's always difficult being so far away from loved ones. thank you darling!! Yes, she is the besteeeesssst!!! I love her to pieces!! You kinda look like your grandma, you both look lovely and you both are lucky to have eachother. - Aww, that is so sweet ! Я тоже очень люблю моя бабушка :)) Maybe she is my favorite elderly person in the world, who taught me a lot about the world of arts, culture and education. I hope all of our relatives can actually FEEL the love and appreciation we have for them, although not always expressed on the outside.